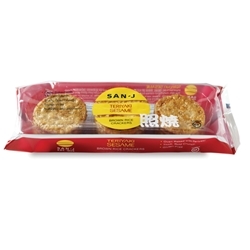 San-J's Teriyaki Sesame Brown Rice Crackers gives you a rich and nutty flavor. 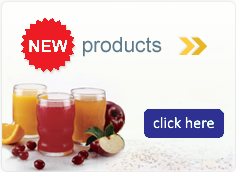 They are baked and are great for dips and spreads. Ingredients: Brown Rice, Rice Flour, Sesame, Teriyaki Sauce [Tamari Soy Sauce (Water, Soybeans, Salt, Alcohol), Honey, Water, Garlic, Ginger, Spices], Sweet Potato Starch.